Central Washington University is located in the eastern foothills of the Cascasdes range, on I-90, about 2 hours east of Seattle. The city of Ellensburg is adjacent to the campus. Take I-90 Exit 106 and continue on the offramp northeast as it crosses above the interstate. Go straight at the 4-way stop and continue on this road as it loops up and over the railroad tracks and into town. This road becomes University Way, from which directions for the Science II building continue below. Take I-90 Exit 109 and turn right onto Canyon Rd. As you follow it north, Canyon will become Main St. At the intersection of Main and University Way, turn right onto University Way. Follow the directions below to proceed to Science II. 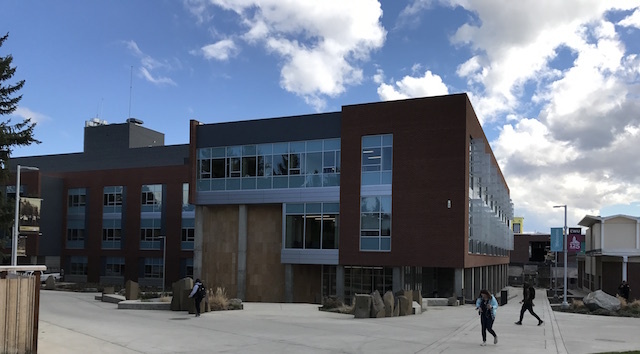 The home of the Geology Department on the CWU campus is the Science II building. 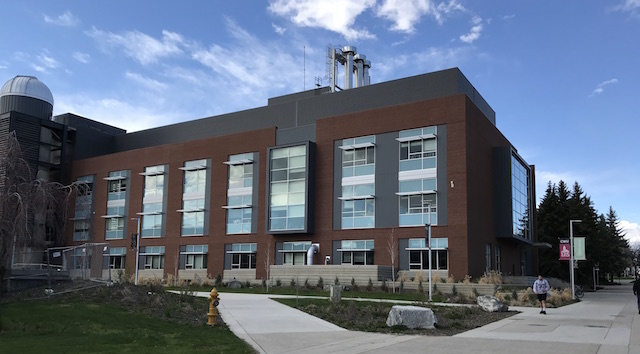 Science II is in the middle of campus and has equally inconvenient access from both the east and west sides of campus. Parking on the west is in Lot O-5, which is on D Street (aka, Wildcat Way), three and a half blocks north of University Way, on the left side. There is a parking permit kiosk on the west side of this parking lot. To walk to Science II from Lot O-5, cross D Street at the crosswalk halfway along the parking lot, and follow the path by the Arboratum and Dean Hall to the wider north-south walkway. Walking south will bring you to Science II. Parking on the east is in Lot G-16. To reach this lot, stay on University Way until you've passed by the south side of the campus and reached Chestnut Ave. Turn left on Chestnut, go one block north, and then turn right. Lot G-16 will the second entrance on your left. There is a kiosk for daily parking permits at the entrance to the lot. To walk to Science II from Lot G-16, head west across the staff parking lot (G-15) to the walkway toward the center of campus. When you reach the wide north-south walkway, Science II will be across the walkway, to the northwest. Disabled parking is available immediately to the west of Science II. From University Way, go north on D Street/Wildcat Way three blocks to 11th Ave. Turn right and follow the curve of the street into campus. The parking slots are just before you reach the north-south walkway. Note that you will need a CWU parking permit in addition to your disabled parking permit to safely park in these slots during working hours.